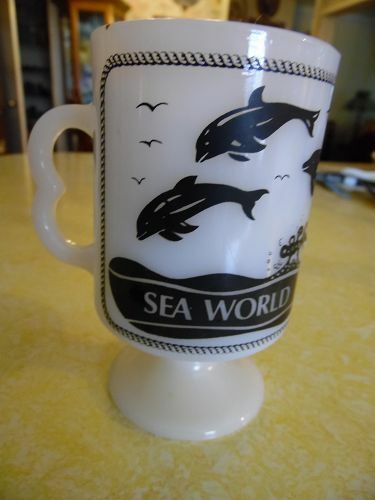 Sea World Fire King Mug Anchor Hocking Milk Glass Vintage Coffee Cup Shamu. 1985. Very nice condition clear graphics. 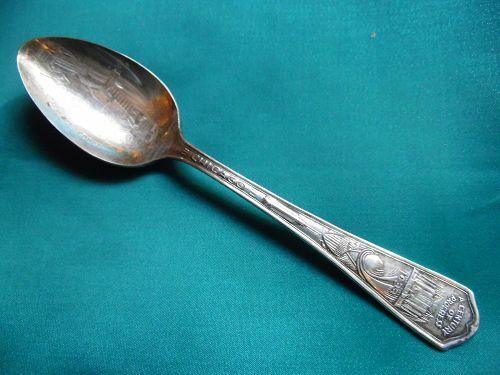 Antique circa 1900 sterling silver souvenir spoon with engraved bowl. Shows hills of Whittier and 2 wells. Engraved Whittier Oil Wells Ca. 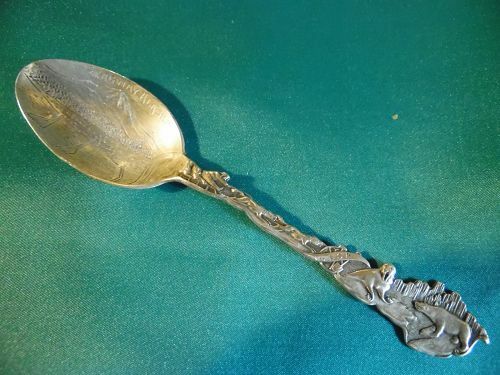 Measures 5 7/8" long. 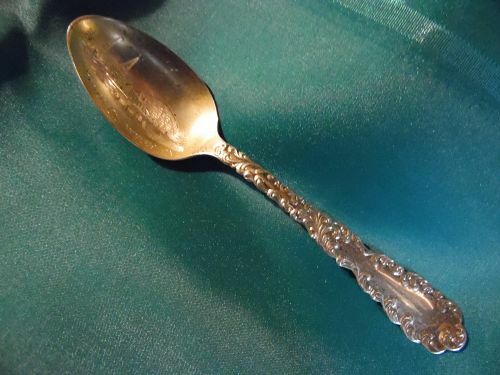 Very nice condition and pretty handle. 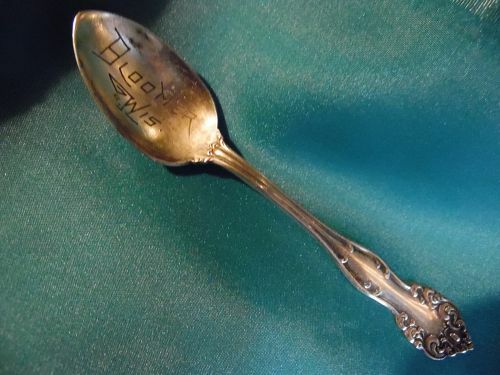 Silver Hallmarks on the back of handle. 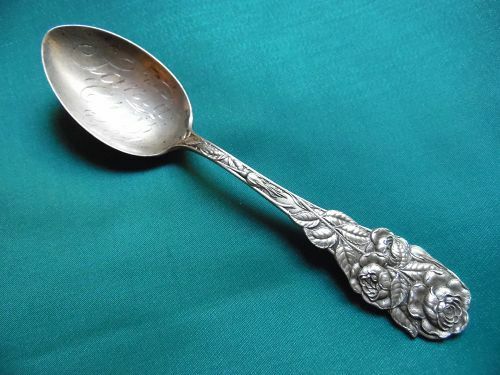 Antique Sterling silver souvenir spoon from Santa Cruz, California which is etched in the bowl. 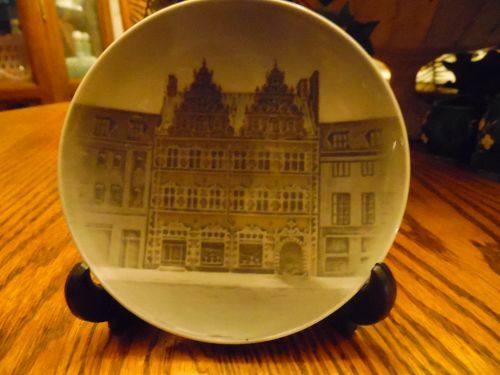 It dates from 1900 and is in very good condition. Beautiful rose design on the handle. 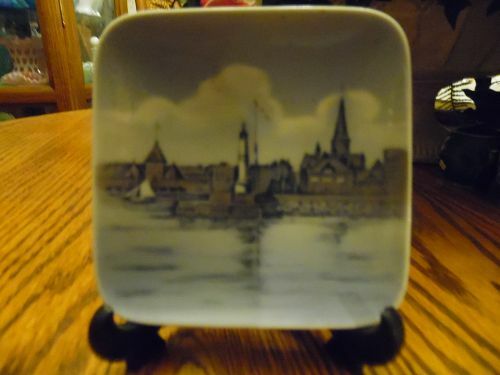 This piece measures 5 1/4" long. 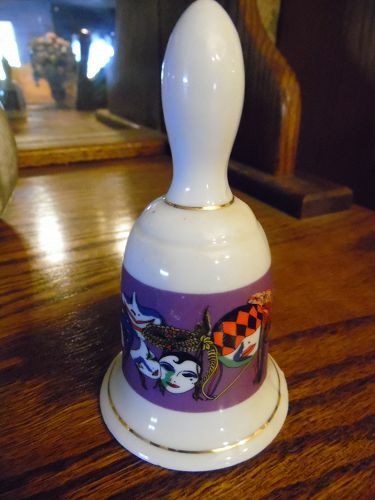 Porcelain collector bell was most likeley a Mardi Gras souvenir. Bell say NEW ORLEANS and has a colorful band of beautiful face masks. Clapper intact. 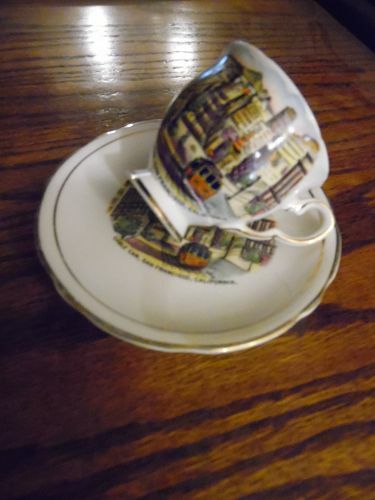 Measures 4 3/4" tall. Perfect condition. Handmade in Greece. Very nice. 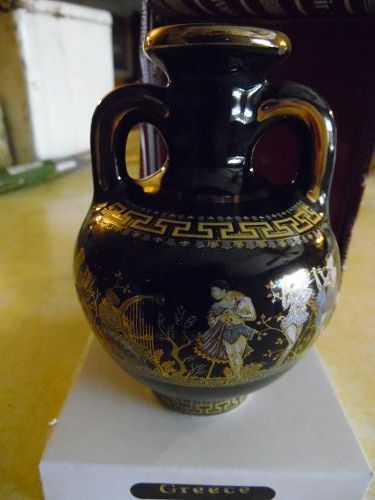 Vase is made of ceramic and is just 4 3/4". 24k Gold Painted with Greek key trim. Very detailed. Never out of the box, so is perfect, and all original packaging. Very lovely. 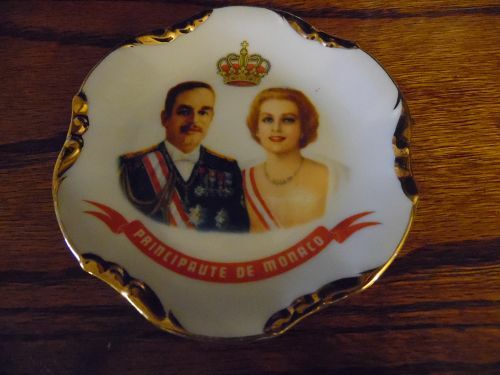 Nice 10 1/8" souvenir plate of the state of New Mexico. 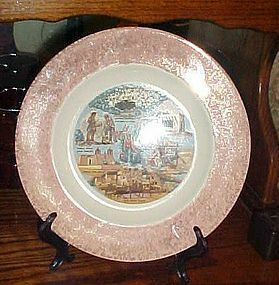 Pink border with lots of gold filigree trim. 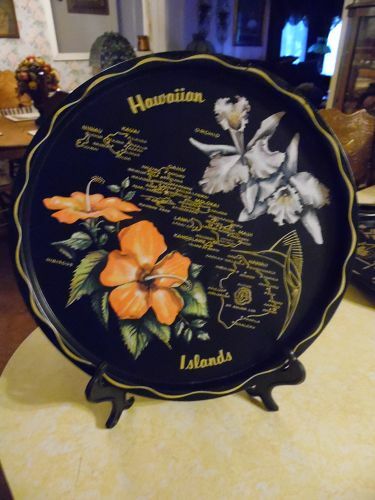 Plate shows 7 various points of interest from the state, featuring the Carlsbad caverns, Pueblo hoop dancers, Navajo weavers and other points of interest. 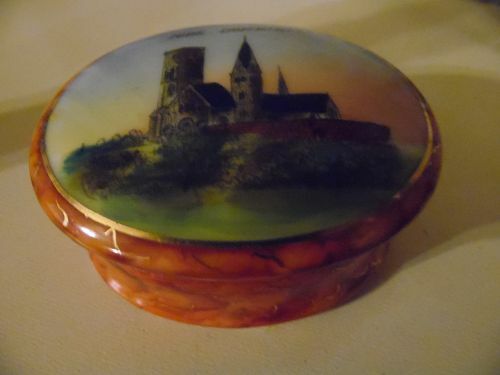 Colorful transfers of scenery. Perfect condition with no damages. No makers mark on the back. 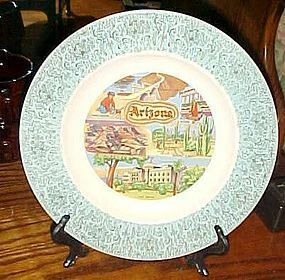 Nice 10 1/8" souvenir plate of the state of Arizona. Light turquoise border with lots of gold filigree trim. Plate shows 6 various points of interest from the state, featuring the grand canyon Coolidge dam and othere points od interest. Colorful transfers of scenery. Perfect condition with no damages. No makers mark on the back.